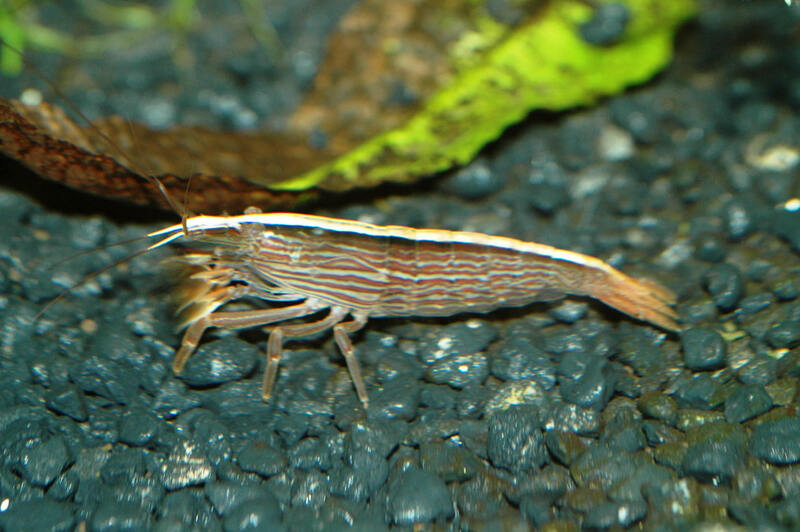 Bamboo shrimp originally belong to the southeastern parts of Asia. Their popularity comes primarily from their importance in aquarium trade. 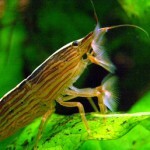 A more popular name of these species is Flower Shrimp, Marble Shrimp, Wood Shrimp, Singapore Wood and the Asian Fan Shrimp. A few snapshots of these colorful creatures have been put below. Their mood swings have a great impact on their body color. It is seen that their body becomes bright when they are glad and becomes mild when they get gloomy. The scarcity of food results causes depression in these shrimps. These species are eaten in exotic dishes by humans in different countries across the globe. These species are actually found in different parts of South East Asia. This includes countries like Singapore, Thailand and Malaysia. 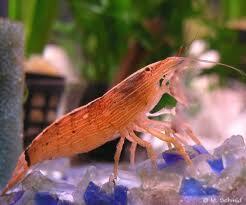 Color of Bamboo Shrimp: These species bear a color from woody brown to dark red. There is a thin line of white running across the back generally found on the shrimp. These lines are seen when the shrimp gets glad. One would also see red-colored horizontal lines on their body. 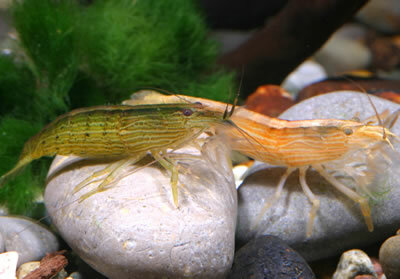 Size of Bamboo Shrimp: These species vary in length from 2 to 5 inches. Appendages of Bamboo Shrimp: These species have three pair of appendages with a feathery appearance. 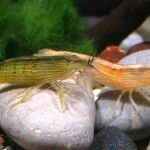 Antenna of Bamboo Shrimp: The bamboo shrimps possess two long antennas. Eyes of Bamboo Shrimp: These species also do comprise of compound eyes. It is seen that these species stay active both during the day as well as the night. The bamboo shrimps are somewhat isolated by nature. These species like to dwell in watery areas having high current. These shrimps are seen to mold their shell once a month. Moreover, these species are seen for questing for food. These species hide under the rock when they shed their shells and appear back only when the new shell emerges. 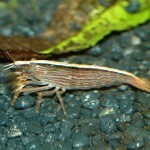 The bamboo shrimps can remain in the same spot for long duration. 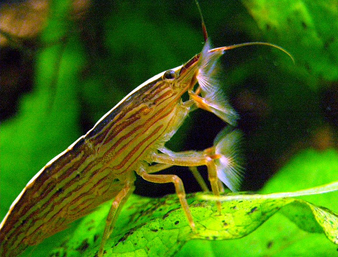 The bamboo shrimps prefer to have microorganisms and water algae in their diet. These species like to dwell in rivers with a very powerful flow of current. The information regarding the mating of these beautiful species in the wild or in the aquarium is very limited. However, these species are born just like larvae but they do not appear of any resemblance to the adult ones. Salt water assists in developing the larvae properly. The antennas act as the best sensory organ for these shrimps. They help them to understand the surrounding environment. Proper Tank: A very basic tank should be of a minimum capacity 20-gallon to house a single average sized shrimp. It is also necessary to put some water-oriented plants, vegetation so that the shrimp manages to get ample of food out of it. Moreover, it is also desirable to provide a good current in the tank. Proper Temperature: The suitable temperature has to be within the range of 75.2 degree Fahrenheit to 82.4 degree. Treatment of Tank Water: An expert consultation regarding the proper treatment of the tank is absolutely essential. One should also abstain from adding copper to the tank as it is fatal for the shrimp. Proper Food: One can keep 2 to 3 shrimps in a tank and supply them with algae. The algae usually stick to the bottom of the tank. In such case the shrimps do not get the proper amount of food hence algae should be provided with proper care and caution. 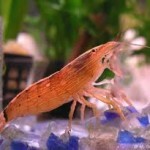 The shrimps also abstain from feeding if the water in the tank is too dirty. They prefer to feed in fresh waters as suggested by their habitat. Temper: These species are serene by nature; therefore, they can be kept with other non-revengeful fishes and shrimps in the same tank. The species can live for up to 2 to 3 years.